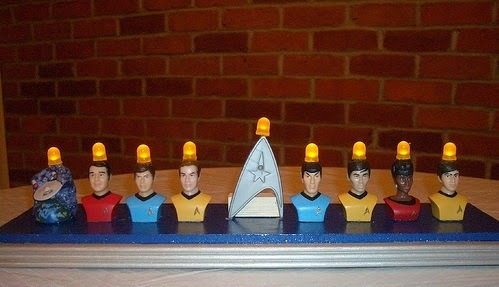 Jewish Themes in Star Trek: Was Hanukkah celebrated aboard the Enterprise? But why wouldn't this chronometer be affected (like anything else on a warp-speed ship) by Einsteinian relativistic effects that — literally and physically — cause time to pass much faster on/in an object that is traveling at extremely high speeds? Please Google this character-string: "Einstein"+"twin paradox"+"speed of light"
I suppose they would have to synchronize chronometers periodically with a standard one on Earth.Perhaps when the ship drops out of warp? The stardates do seem to be standardized somehow. I was never clear how, though.